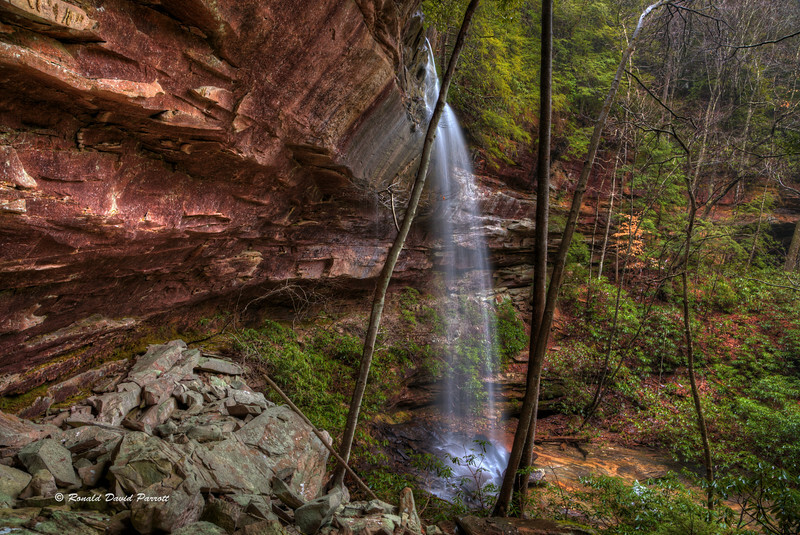 This is Branch Of Hawk Creek Falls in the Daniel Boone National Forest in Laurel County, Kentucky. The waterfall does a crash landing on a pile of rocks. Below the falls the stream has a gently sloping rock bottom. Therefore a splash pool hasn't been able to form here.